Salt has been getting a bad rap lately. And I don’t care for it. Salt is the most versatile, widely used and, arguably, the best ingredient there is. It preserves, seasons, and basically keeps you alive and breathing. That can’t be said about any other food. Oh, except for caramel. Caramel definitely keeps me strong and healthy. But I digress. Manufactured super-refined Sodium definitely has its downsides, but salt in its simplest form is different. It all depends on how you use it. Salt doesn’t just make a french fry absolutely exquisite. 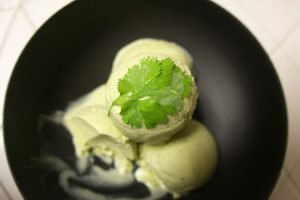 It enhances and brings the flavors of our food to the surface, without the obviously salty taste. Stick to Kosher and sea salt. Leave the table stuff behind. Fancy some examples? I thought you might! If you want to cure salmon, you use salt. Lots of it. The salmon gets packed in mounds of salt and rests overnight or longer resulting in an incredibly flavorful, but not salty, cured salmon. 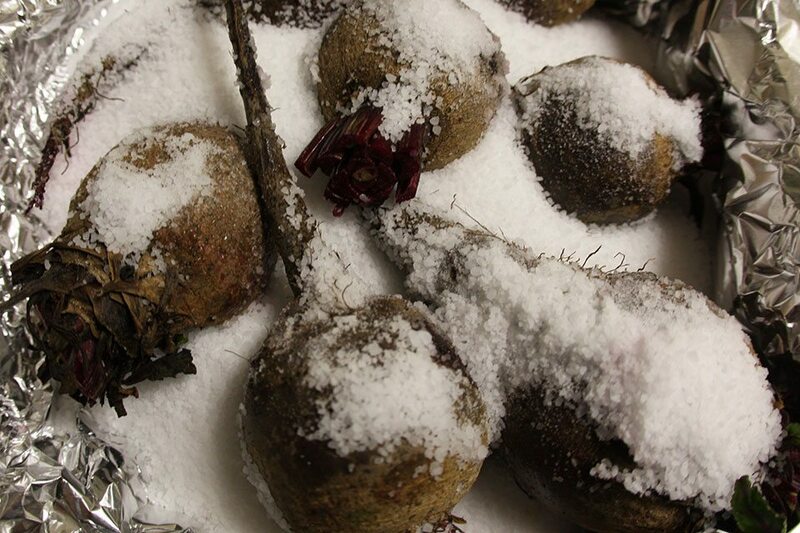 And the best example of all, this recipe for Salt Lick Beets. 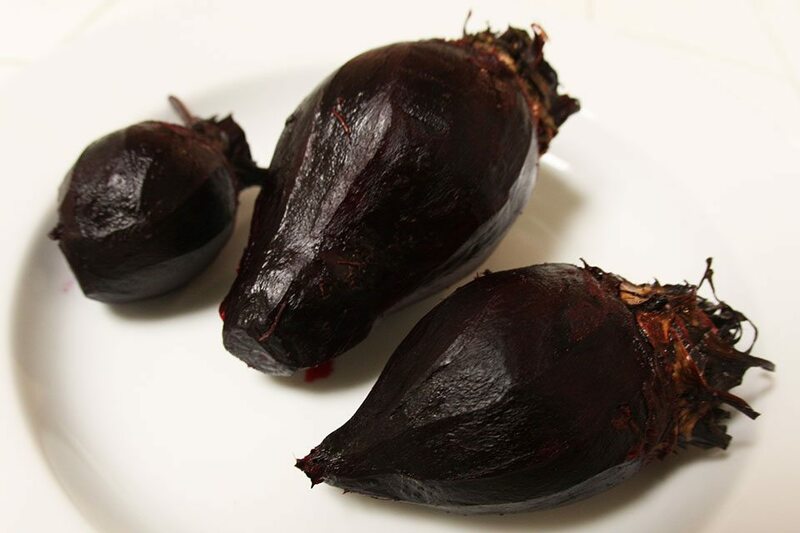 Whole beets are packed in salt and roasted in the oven. 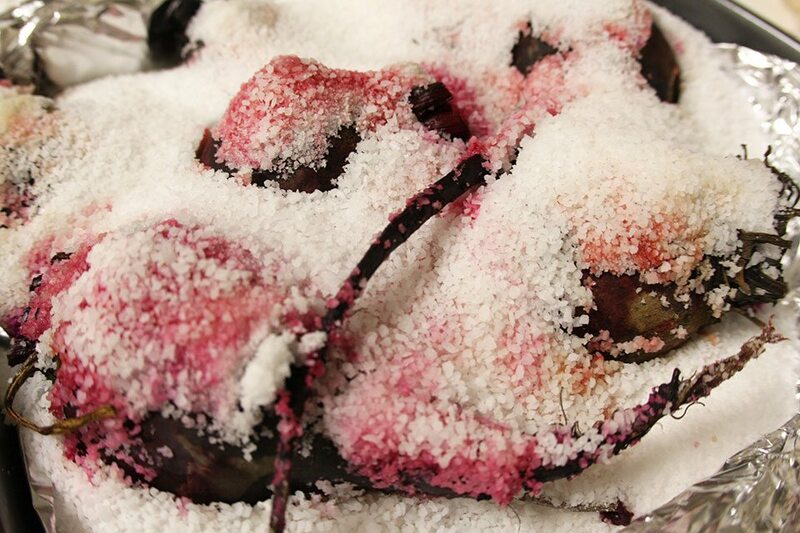 The salt not only brings out that delicious beet-y flavor, but helps the beets cook evenly. I had some really small beets, and some large ones. Every one was tender with a little bit of bite. Gosh I love recipes with two ingredients, don’t you? It’s important not to have any nicks, or cuts on the beet because you want all that juice to stay inside of the beet during cooking. Preheat oven to 400F (250C). Line an 8×8 with aluminum foil. Put a 1″ layer of salt in the bottom of the pan. 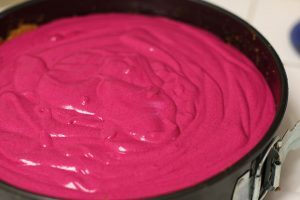 Space beets evenly in the pan. Cover with remaining salt. Cover with foil. 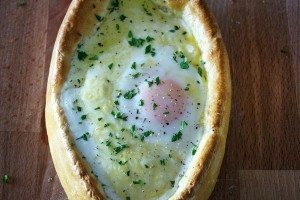 Bake for 50 to 60m until tender. Use a paring knife to check. Let cool slightly and peel. Store salt for another day in a tight container or plastic bag. You’re going to wanna marry these beets and have lots of beet babies. These beets are THAT good.